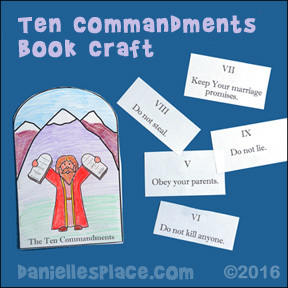 The following crafts and activities come from the Bible Lesson "God's Rules, The Ten Commandments". 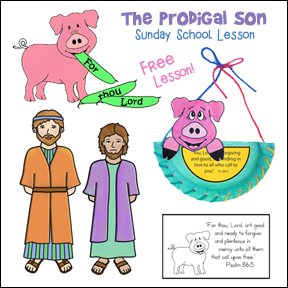 This lesson is available to members on The Resource Room and as an instant digital download. Have the children make traffic signs - Cut out red, green, and yellow circles from construction paper and have glue them on a rectangle to make traffic signs. Stop and listen to God's rules. Be slow to anger and never cruel. Go with God and he'll go with you. A pattern for this craft is available on The Resource Room and available to members. 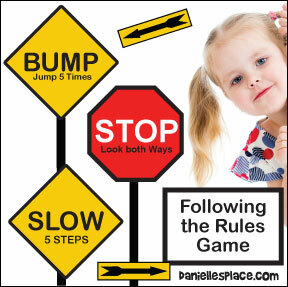 Use they coloring sheet to help children realize the importance of following rules. 1. Before class print out the sign patterns onto colored paper and cut them out. 2. In class set up a path using the signs, tape, chairs, tables, etc. 3. You can tape the signs on the walls, chairs, or use a milk jug or something similar to display the signs. You can tape the arrow signs to the floor to let the children know which way they should go. 4. Tell your children to follow the path and do what is written on the signs. The first time through you can be the leader and tell the children what the sign say to do. When they come the caution bump sign they should jump five times. When the come to the stop sign they should stop, look both ways and then start following the path again. When they come to the slow sign they should take five slow steps, and follow the direction of the arrows. Put the exit sign at the end of the path. Let the children follow the path until they get tired or the game. 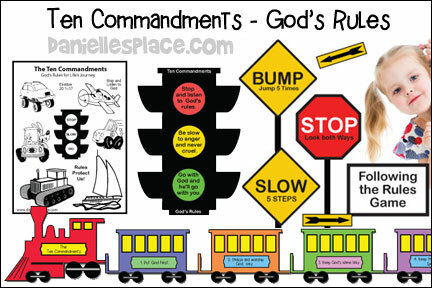 Use this Ten Commandments train as a craft and learning activity or as a bulletin board display for your room. Each train shape is about eight inches long. The labels for each car are available in KJV, NIV and a child-friendly version. What you will need: Colored Paper, Scissors, and glue. 1. Before class print out the train shapes, and Ten Commandments labels onto different colors of paper.Print out the wheels and color them black, or use round paper punches to punch out wheel shapes. Print out the window shapes onto yellow paper and cut them out. 4. In class display the train shapes, windows, and labels on a table in front of your children. Let them pick out the colors they would like to use. Show them out to glue the window shapes, wheels, and labels on to the engine, cars, and caboose to make the display. One of the most popular lessons I did was on the Ten Commandments. Each week I would give each child a train car and wheels cut from colored construction paper, and a small round sticker with the number of the commandment we were doing that week. The first car was the engine and the last, the caboose. I precut the cars and wheels, and wrote a simple version of the commandment on each car. They would tape or glue the wheels onto the car, choose the color of numbered sticker they wanted and stick it to the car. At the end of 10 weeks, they each had a great little train to put up in their homes. It was so popular, that if a Sunday were missed, the children (or parents) would let me know which car they needed so they could have a complete set! Set up roads on the floor with masking tape. Bring in small cars and trucks for the children to play with. Put up road signs at intersections. Demonstrate how the traffic signs are used. Make a big red card and a big green card. Instruct the children that when you hold up a green card they can take one step and if you hold up a red card they have to stay in one place. Play until the children end up at a designated line. Ask the children what are some of the rules they have at home and write them on the board. When you are finished discuss why they have each rule. Class Rules - Talk about class rules and make a list - talk to the children about the importance of rules in the classroom so that everyone will have fun and stay safe. Let the children make suggestions and write them down as they suggest them. When you are all done, take out three to five of the most important rules and write them down on a big piece of paper or on the board. Have the children draw pictures to illustrate them or have them make their own book of rules. 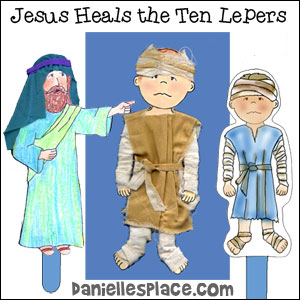 Number Pictures - A Great Way to Remember all the Ten Commandments in Less Than 10 Minutes! 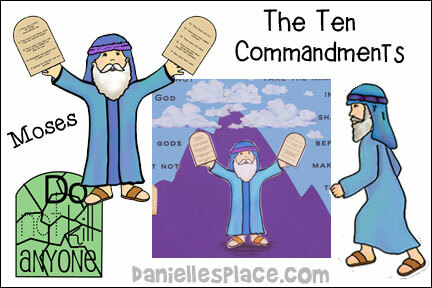 Use this printout to teach children the Ten Commandments in less than ten minutes. Write each number on the board and then change it into a picture that is easy to relate to the commandment. Hand out the printable for your children to review at home. 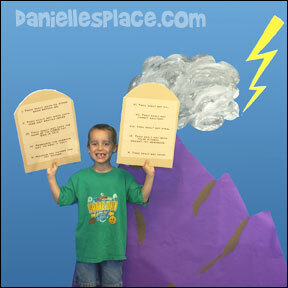 This activity sheets goes along with the Ten Commandments Bible Lesson on The Resource Room. Free Digital Download Available in Black and White for Coloring and Color Pattern. 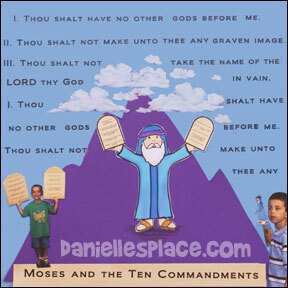 Use these Ten Commandment number posters as a visual during your lesson. 1. No Other Gods - Draw the number one for one god. 2. No Idols - Draw a face and ears on the number two to make it look like a cow The Israelites worshipped a golden cow. 3. Do not take the Lords Name in Vain - Add to the number three to make it look like a pair of lips. 4. Remember the Sabbath to Keep it Holy - Turn the number four into a cross. 5. Honor thy Father and Mother - Draw faces in the number five and you get a lady at the bottom and a man with a flat top hair cut on the top. 6. Do Not Kill - Turn the six sideways and turn it into a gun. 7. Do Not Commit Adultery - Turn the 7 sideways and turn it into an A. 8. Do Not Steal - Turn the eight side ways and turn it into a pair of handcuffs. 9. Do Not Bear False Witness - Draw a face inside circle of the nine and ears to look like a bear. 10. Do Not Covet - Turn the 1 into a C – CO stand for covet. 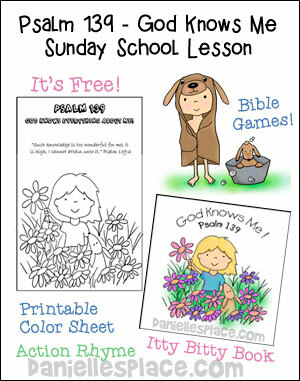 Sung to the tune of "Father Abraham"
Memory Cross cards are a great way for children to memorize Bible verses. They will love folding the panels in a never ending loop. The Ten Commandment Cards in the video below come in a set of ten cards plus two of Jesus' Commandments. 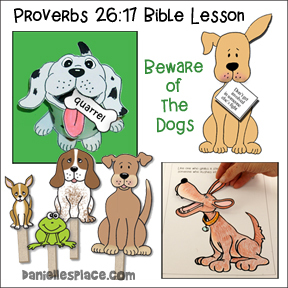 Children can memorize the commandments by reading the first panel, guessing what comes on the next panel, and then folding it over to see if they are correct. They can continue in this manner until the commandment is memorized. Once all the Commandments are memorized you can use them as a game. Break up your students into teams and give each team a set of cards. Mix up the cards and have the teams read them and place them in order. The team that gets them all in order first wins. Order the Ten Commandment cards from Memory Cross Inc.
Before class cut a mountain shape from bulletin board paper and tape it to your wall. You can also add clouds and lightening. 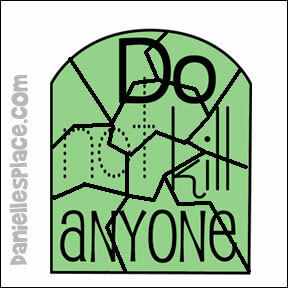 Cut Ten Commandment tablet shapes from foam core board, 17 1/2" x 12". In class have your children dress up in Bible clothes to look like Moses. (Note: Do not let your children share headdresses because they could spread lice. Have one for each child; and wash them after each class.) Talk about how Moses brought the Ten Commandments down from the mountain. Have each child take a turn posing for a picture. Have the picture ready next week and use them to make a scrapbook page to remind your children of the lesson. 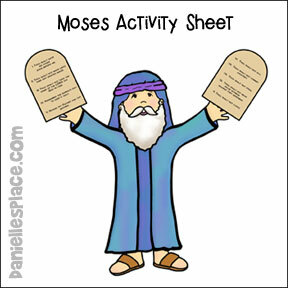 Children color the picture of Moses, cut out the Ten Commandment tablets, and glue them to Moses' hands. 1. Before class print out the Puzzle Pattern on different colors of card stock. 2. Cut them out and then cut them into about ten different puzzles pieces. You can cut four puzzles at a time. 3. 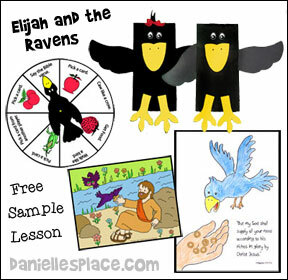 In class see how fast your children can put the puzzles together to figure out the commandment. Tape them together as they find a matching piece. 1. 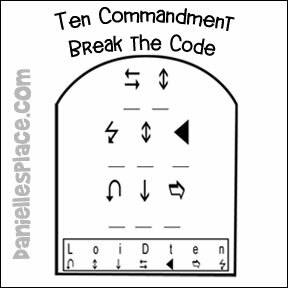 Before class print out the Break the Code Commandment Puzzle and make copies. 2. In class have your children match the symbols to the letters to figure out which Commandment is written on the tablet. This booklet comes into different styles - Roman numeral and regular numbers. You can use the Roman numerals with older children who already know their numbers. (I used the Roman numerals with my first graders and they really enjoyed figuring out which numbers represented our numbers.) Cut the Commandments apart and mix them up. Give a set to each child. Have the children put them in order and then glue them in their books. If your children don't know the Roman numerals, make a chart on the board so that they can match them up with the regular numbers. Read the following sentences and tell the children to raise their hands with their ten fingers up and spread apart if it is one of the Ten Commandments. If it is not one of the Ten Commandments, tell them to raise their hands while making a fist. 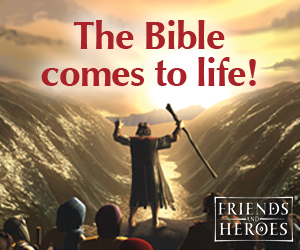 Here's a game to go along with a lesson on the Ten Commandments. Prepare sets of Ten Commandment cards using Roman numeral cards for older children and the regular numbers for younger children. Remove one card from the deck and give one deck to each child or group of children. See which group of children can figure out which of the Ten Commandments is missing from their deck and what the commandment is first. 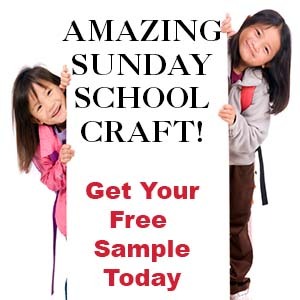 Scrapbook pages of your Sunday school lessons and activities are a great way to help your children review and remember what they have learned. It is also a great way to get shy children to open up. Children will love seeing pictures of themselves. You can also display the pages in your room to let parents know what your children have been doing and learning in class. This will also encourage your children to share what they have been learning with their parents. Older children will also enjoy making memory pages of their lessons. This will also help them to remember what they have learned. The sticks are taped together so that when the craft sticks are pushed together from the top and bottom of the stack they fan fold up into a compact stack of sticks for storage. This craft is great to use as a memorization tool. Children can test themselves by unfolding one section at a time to reveal the next Commandment. Children can use permanent markers, pens, or colored pencils to write the Bible verse on the sticks and then decorate them. They can also draw a picture on the back of the sticks that represent the Ten Commandments. These folding craft stick canvases can also be used for many other purposes. You can also be used to make greeting cards for Mother's Day, Father's Day or Birthdays.